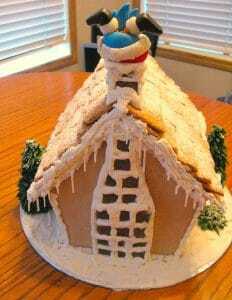 I cried while making my very first homemade gingerbread house. No, crying is an understatement. I blubbered. Serious snot and tears blubbering. I had been so excited – I had a recipe, a plan and lots of time on my hands! And as the walls caved in and all the hours of hard work were reduced to a pile of crumbs, I vowed I would never let that happen again. That was 19 years ago. Since that day, I have learned a lot about what to do, but especially what NOT to do when it comes to making a large gingerbread house. And then in 2013, I made this baby you see in the photo above AND it did not crumble! 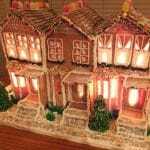 If you want to learn how make a large gingerbread house, have it stay intact, how to fix and hide mistakes and still have that house look great, then read on. Oh, and by the way, I still made tons of mistakes, like cutting the side walls in HALF when I wasn’t supposed to, and it still held together. And this giant gingerbread house held together because of all the tips, tricks and secrets I have learned along the way (and a little determination) These are the tried and true secrets I will share with you today. Trust me, they work! 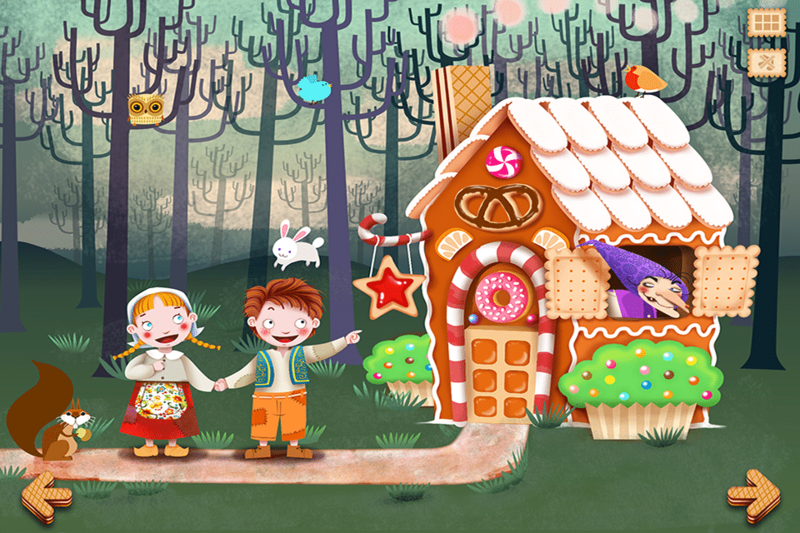 I have always been in awe of gingerbread houses, ever since I read Hansel and Gretel as a little tyke. Who am I kidding? Its food and things made out of food fascinate me. And then there’s the things that are made out of food that look like other things. The idea that I could make an entire house out of food made me swoon! When I was younger, I tried making gingerbread houses out of kits, but they never really satisfied. There wasn’t enough royal icing, decorations were scant and because of the subpar icing, it never held together properly. And it just didn’t feel creative enough. I wanted to make my own. 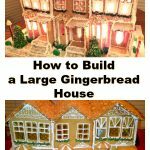 To get practice with putting together a homemade gingerbread structure, it’s best to start with a small structure and master that before you move onto a big project. Then I made mini sized ones for the kids to put together and decorate. When you finally move on to a bigger project, just remember that it’s just a lot of mini projects. 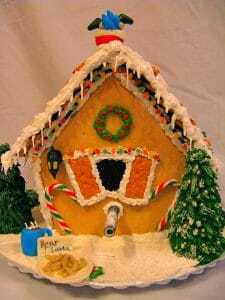 I approached the row housing or “gingerbread condo”, as we affectionately dubbed it, as 3 different houses, although they shared walls. Otherwise, it would have been too overwhelming. I used lots of different candies for this project. I looked at houses I liked and tried to figure out what they used and even emailed the decorator, in some cases, if I wasn’t sure. Then I went to the candy store with my kids and had a blast picking out all the candies we wanted to use! ***Feel free to email me if I missed anything and you want to find out what I used for any parts of this condo or my decorating techniques. You will make mistakes- the key is to just learn how to fix them/cover them up! I am a cake decorator and I used to watch Duff Goldman’s show ” Charm City Cakes” religiously. I can’t tell you how many times I heard Duff say that. And he’s right! There were so many episodes where you saw him (or the other cake decorators) make mistakes, then watch how they fixed them or changed the original plan and improvised. Cake decorating and in this case, gingerbread house decorating, is an extremely forgiving art – you can cover up so many blunders! And even make it look like it was supposed to be that way. My windows are a great example. I originally used gelatin sheets, and tinted them with food coloring and alcohol (which evaporates) but they ended up shrinking and falling off, AFTER I had the roof on- DOH! So, I had to come up and a Plan B. I ended up making the windows out of melted candy, then had to put them on from the outside. Icing “curtains” was the only way I could think to cover up my mistake so you wouldn’t see the jagged edges of the candy windows. My plan did not look like this at all- the entire look of the windows was supposed to be completely different! I also burnt pieces of the porch and had to cover those up as well. You have to be willing to improvise as well and really want to make it work. It may not be what you originally envisioned in your head and that’s okay. Plans change. A good cake decorator/gingerbread house decorator is just really good at covering up mistakes! 1. It’s all about Foundation- Recipes matter! Use a gingerbread house template and read directions very carefully. I recommend: “Gingerbread: Things to Make and Bake” by Theresa Layman and Barbara Morgenroth . This is the book I used and the instructions are clear and well-written and the patterns are well done. You need to use these objects to hold the walls, roof and portions of the structure in place while it dries. The biggest mistake I made with my first house was assuming I didn’t need to use anything to hold it up. Make sure you have TIME, This took 4 days between mixing, cutting, baking, glueing, waiting and decorating. And work in small sections. But you don’t have to do it all at once – you could do this over the course of 2-3 weeks – it doesn’t matter. Icing takes time to dry and you have to build a big structure in stages, with lots of drying time in between. If you rush it and try to add the roof before the foundation is completely dry, it won’t stay together. You should be able to tug at the walls (not too roughly though) and have it NOT move. My windows fell off inside the house so I had to put windows on from the outside. Then I had to remove a wall when it was partially dry to add the lights (I didn’t think of this beforehand and my roof was already on (ugh)! A large tip covers more area (smaller tips are for careful/precise decorating on the outside). 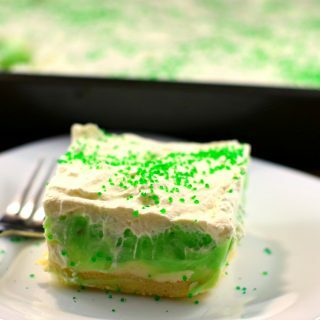 And don’t be afraid to smear the icing with your finger to fill the gaps where the pieces attach. This is another major mistake I made with my first house. I didn’t use enough icing. Don’t be afraid to smear it on thick and fill every gap (and fill it again)! It’s hidden inside anyway! But thin enough that it doesn’t hurt your hand to squeeze through the pastry bag and tip. You can always thin it, but it’s a little harder to thicken. 10.Don’t get frustrated if it breaks or you make mistakes. The hard part is when you can’t store it and you have to decide what to do with it – To eat or not to eat! You can read about my existential crisis here: Gingerbread: The Art of Food . The struggle is real…. 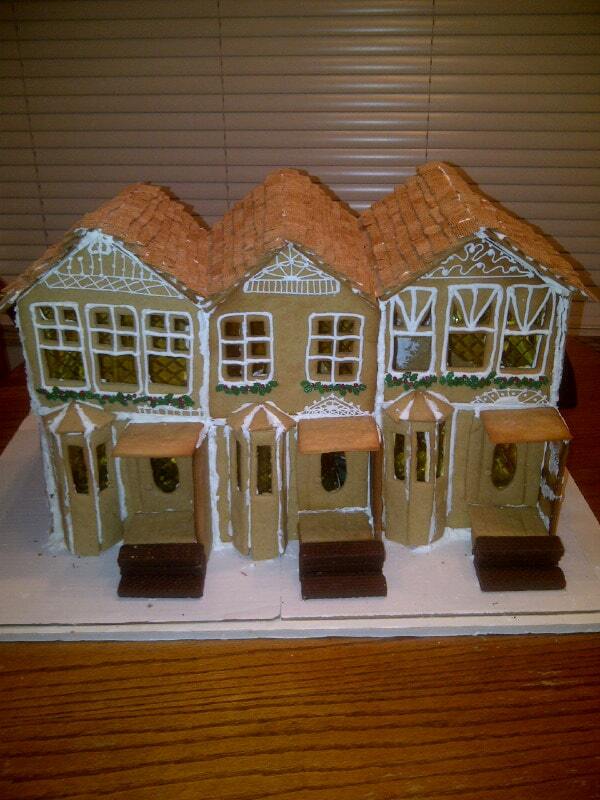 Making a large gingerbread house is a big project and it takes a lot of time. So, make sure you budget for it. This particular house took me 4 days. I happened to have a 4 day weekend and it was cold and miserable outside, so making a huge gingerbread house inside, was a great way to spend that time. It was also a great way to spend quality time with the kids (who were 6 and 8 at the time). They helped me with the entire project from picking out the candy to mixing the gingerbread dough. The kids were super proud of this gingerbread house and loved eating it in the end (well, some of it). 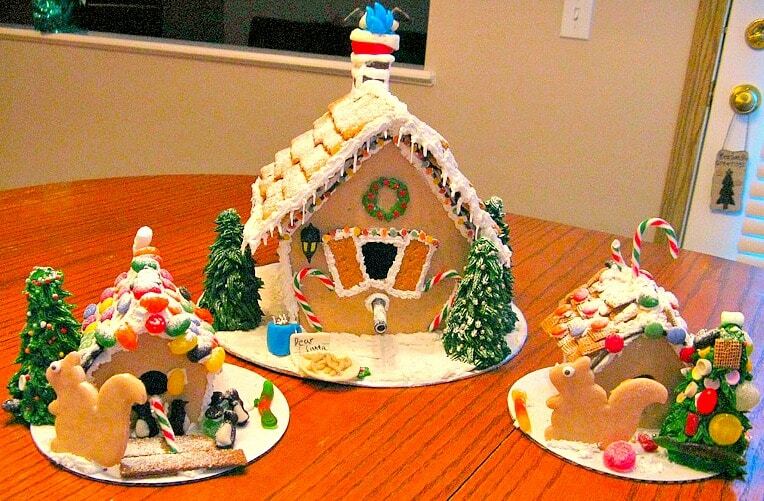 Gingerbread houses symbolize Christmas, holidays, family and happy times! And they make your house smell amazing! This gingerbread is not only sturdy and nearly unbreakable, it's really delicious (does not contain cloves or molasses)! Mix the dry ingredients together in a large bowl and set aside. 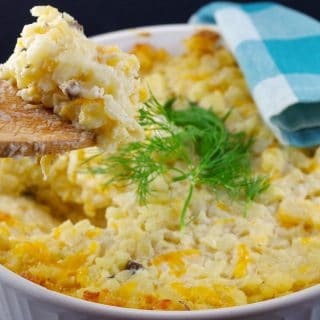 In medium pot, over medium-low heat, mix light corn syrup, light brown sugar and margarine together, stirring constantly until all margarine is melted. Stir the margarine mixture into the dry mixture and stir well. Mix with hands as dough becomes stiff. Chill the dough for about 10 – 15 minutes. Bake for 12- 15 minutes or until golden brown. Check periodically for air bubbles during baking and poke them with a toothpick or cake tester during baking process. When baking is done, allow house pieces to cool on pan for 5 minutes, then transfer to a large cooling rack. Make sure all pieces lie flat. *Note: dark corn syrup or dark brown sugar may be substituted and will result in darker dough. This royal icing is THE BEST Royal Icing I have ever used for a gingerbread house! Combine the icing sugar and the meringue powder in a clean and grease-free mixing bowl. ***Do NOT use a plastic bowl. I recommend using stainless steel, washed with hot water and dried with a paper towel. Add the water and beat until the icing forms peaks (about 8-10 minutes with a heavy-duty mixer, 10-12 minutes with a hand-held mixer). * I also recommend using a stand mixer, as it's a pain to use a hand held. Keep the icing covered with a damp cloth while it is being used and store it in an airtight container (do NOT refrigerate it). Note: For successful icing, keep all utensils completely grease free. I bow to you Terri and will have to decorate vicariously through you! You are so talented!! 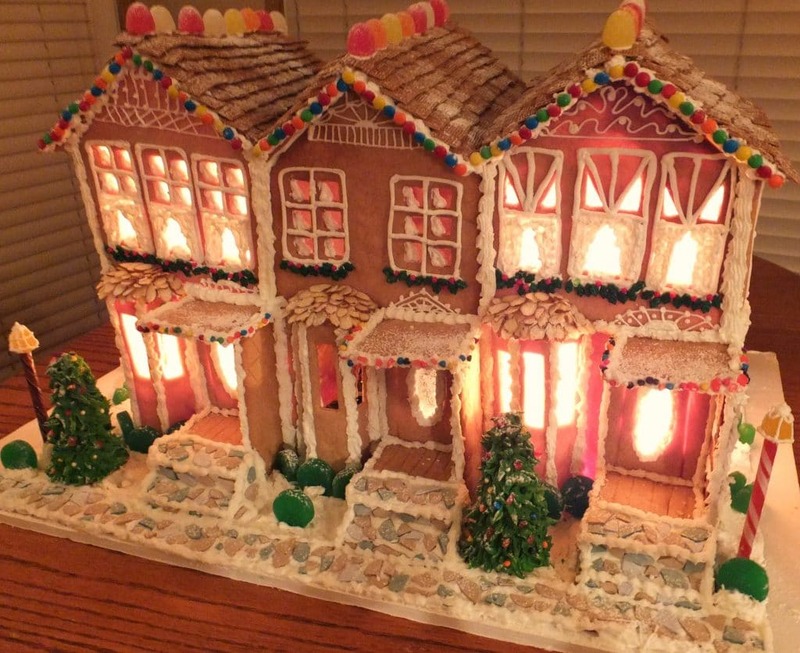 Your giant gingerbread house is outstanding! I don’t think I’d have the patience to take on a big project like that. I’ve made a haunted gingerbread house for Halloween before, but that didn’t have clear candy windows like yours. This is really impressive! Just saw your post for the first time. I made my first at 16 for our church Christmas Charity sale. Of course it had to be big. I got second degree burns from trying to put it together with caramelized hot sugar. It works but your way is way better !! I’m 60 now and the kids expect small (and not so small) castles and the like. I find that almost any dough that results in a hard cookie works wonderfully as long as you cut it to the pattern after baking while its still warm using a sharp knife. This lets the dough spread a little while baking. It also allows for a thinner cookie which means less weight for the walls and roof. Hershey’s chocolate bars work wonderfully too for flat surfaces if all gingerbread isn’t a requirement. Thank you for taking the time to bring all this wonderful information available in one place for the novice baker – I wish I had had it.